Before we started our journey, we saw other people traveling full time and assumed that we’d need tons of money to pay for all the expensive hotels, flights, and activities. The truth is that your money might go a lot further in another country, enabling you to explore the world without breaking the bank! $600 for a month in a furnished apartment with a kitchen, laundry, and a pool and gym in the building. Includes fast wifi and utilities. $95. This includes buses from Bangkok to Chiang Rai to Chiang Mai, but not our flights in and out of the country. $28. This is laundry, gym, ATM fees, random convenience store purchases, and other small expenses. Accommodation will probably be your biggest expense. Having a travel buddy to split expenses with helps tremendously. Staying in a double room or apartment of your own is usually much more comfortable than a hostel bunk! The price we're paying is for a luxury apartment but a private room can easily be found for under $300/month. There are good deals to be had on sites like Agoda in Southeast Asia. In addition, weekly or monthly rental is usually cheaper compared to daily. You can find these kinds of properties on Airbnb or Facebook (here and here are the relevant groups for Chiang Mai). If you can book a few days and look for a place in person after you arrive, you can usually get better deals. We went with Airbnb for the convenience, even if it wasn't the cheapest possible price. You can save a lot of money by eating local food rather than at Western restaurants. In many places, the cost for a burger or latte is close to what you'd pay at home, while eating like a local costs as low as 50 THB or $1.60 per meal. This doesn't necessarily mean only street food - you can find similar prices at more established restaurants as well. At that price, your monthly food cost would be around $140/month per person. We don't end up cooking all that much (with the exception of breakfast sometimes), even when we have a kitchen available, because it isn't necessarily much cheaper than eating out. Alcohol, especially beer, is very cheap in most of Southeast Asia (with the notable exception of Indonesia) relative to elsewhere in the world. However, the cost still adds up quickly and can be as expensive as food if you're not careful! Flights are typically expensive. We took overnight buses to save a night of housing instead. If you're in a country that requires flying to get from place to place, or planning on visiting a few countries, you should try and plan your itinerary beforehand and get the flights in advance. In terms of getting from the US to Asia, you can find great deals with websites like Scott's Cheap Flights, especially if you're flexible on dates. Once you're here, there are many budget airlines with prices as low as $20 between countries. Just be aware that the baggage policies are quite restrictive and they'll charge you for everything from seat selection to water on the plane. Don't forget to account for onward flights before you arrive! 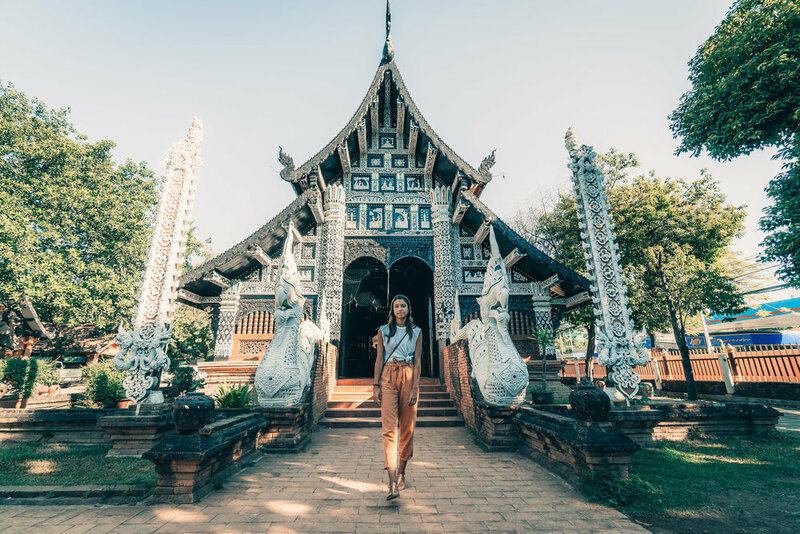 Even if you're planning on extending your visa, the flights need to be within the initial allotment of time (30 days in Thailand). If necessary, you can book refundable flights and then book the correct ones once you're in the country. We usually avoid hiring drivers or booking tours and instead opt to rent scooters to get around. Exploring is a lot more fun that way, and in a lot of places a day's rental is the same price as a single Uber or Grab! You'll usually get a better rate the longer you rent. Our scooter was $90 for the month, and we didn't do any price shopping. Gas is under $1/liter or $3-4 per tank which lasts us a week or more depending on what we do. Prices may vary depending where you are - rental in Bali was possible for as low as $50-60/month, but in the Philippines the cheapest rate we found was $7-10/day. Important tip: make sure to get an international license (with motorcycle license if you have it) from AAA or the equivalent agency in your country before you leave! Ours was $20 and it's actually saved us from tickets several times. Our main activity expenses this month were a visit to an elephant sanctuary ($50/person) and a Thai cooking class ($40/person). Entry to most temples and tourists sites are either free or under $2. We usually try to choose a few key experiences in each place to spend money on, but limit their frequency. If you want the convenience of doing guided tours, this number will likely be higher. We used AIS and got the unlimited data package at 6Mbps so we could tether if we needed to. There are even cheaper options if you don't use your phone/data much! This price is consistent with what we've paid in other countries. Many cafes, restaurants, and coworking spaces here have free wifi, so you could easily survive with that in conjunction with Google Maps' offline mode. Around $60 per 30-day extension is pretty standard for the countries we've visited. It's also possible to do a visa run to a nearby country for around the same price, or you can make a weekend trip out of it. If you're interested in more in-depth content on what visas we recommend let us know! The total for the month comes out to $1904, or $952 per person. It's definitely possible to cut these costs even more depending on your preferences and what country you decide to stay in. We hope this was helpful! Let us know if you have any questions or cost saving tips in the comments below.